We welcome great ideas that stand out for their originality, concepts that are applicable internationally and innovative software solutions. Our team, network and specialists support management teams in their particular areas. We do not just invest, we also follow our entrepreneurs from their very first ideas to their fully implemented and operational companies. Please contact us via our Business Model Canvas. Even a promising idea has to meet certain preconditions to be a successful product or company on the market. Some of these basic requirements are listed in the following table. 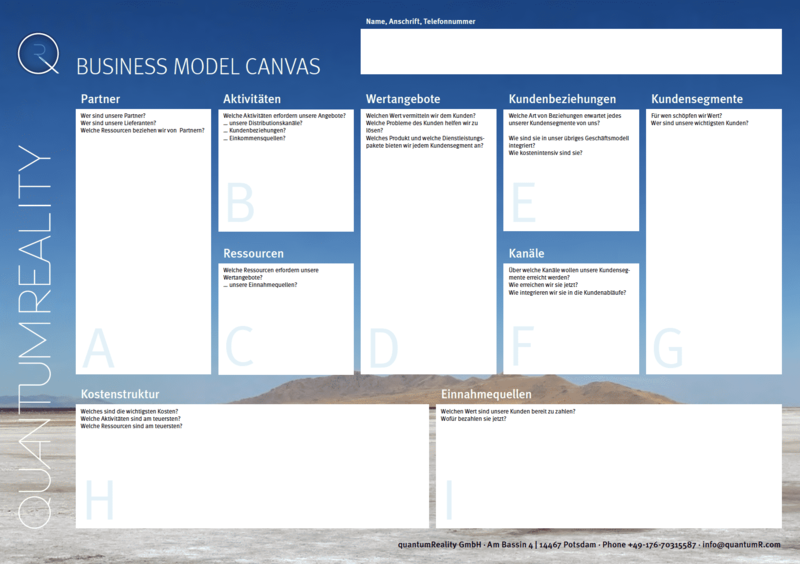 We also recommend using our Model Business Canvas to test out the most relevant information about your idea. Once this information has been clarified, you will have a direction and structural representation of your idea before you have even contacted us. Do this by downloading the following PDF.